Before heading off to college, students always hear classic stories about the large, and somewhat intimidating, lectures. A common pastime of current students or graduates is to perpetuate the stereotype that lectures are boring and unproductive. But how can you blame them? Surrounded by 300 or more of their peers, students feel like a small fish in a huge pond and easily become disengaged and may even stop attending class altogether. Clickers have become a commonplace solution to combating student disengagement. Students register their clickers to their student ID number allowing the professor to present large-scale multiple choice questions to track each student’s topic comprehension as well as attendance. The clickers also allow professors to gain metrics on the understanding of lecture topics for the class as a whole, enabling professors to customize learning objectives to fit the unique group of students in each of their lecture sections. However, the use of clickers can create a whole new set of problems in the lecture hall, especially regarding academic misconduct. 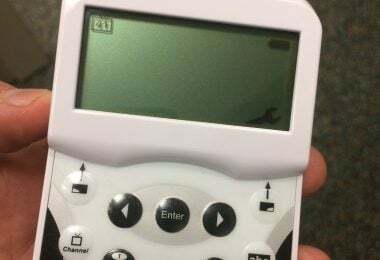 Since many professors use the clicker system to take student attendance, it has become common place for students to give their clickers to friends in that same lecture if they are planning on not attending the class that day. Since there is no real way to determine who is using the clicker once it is registered to each student ID number, professors only know if the student is not actually in attendance if their peer is caught using more than one clicker. To accommodate to our increasingly technology-driven world, the traditional clicker has been adapted into a mobile application that students can use on their computers, tablets or other smart devices. While this presents a more cost-effective and convenient option for students, it makes academic misconduct easier and more discrete. Students can log into their clicker account on their laptop while possessing another student’s clicker, producing no visible signs of cheating. Clickers have been extremely successful in increasing student engagement and attendance in large lecture hall classes. However, the increased plausibility and ease of academic misconduct present a whole new set of problems within the classroom. It is imperative to check student clickers upon their entrance into the lecture halls and to carefully monitor student use during the lecture to maximize the academic benefits of having a clicker-driven classroom.